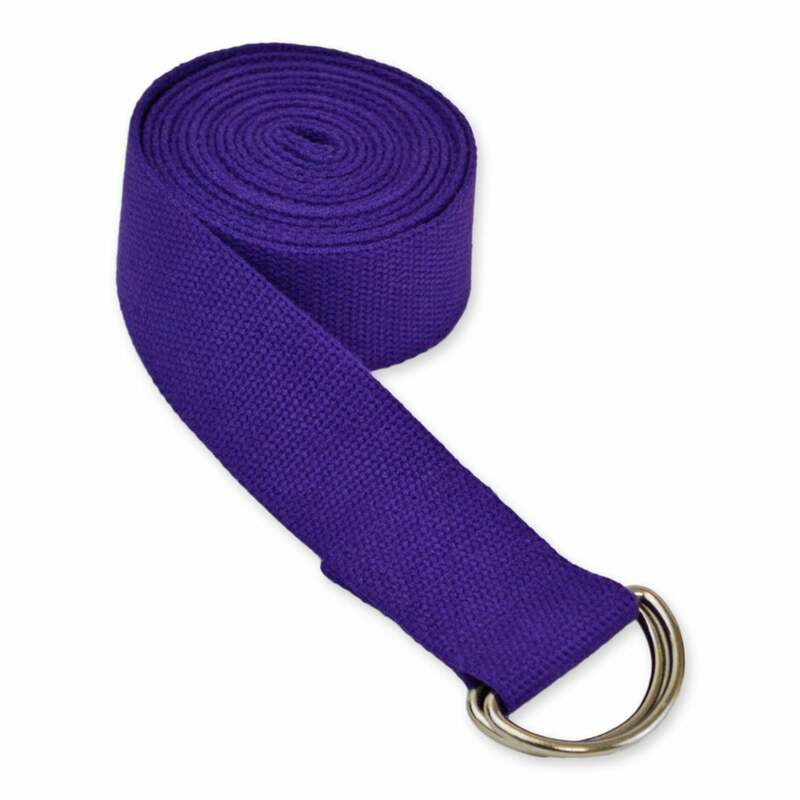 If you are looking for an extra long, high-quality, long-lasting yoga strap, our 10 Foot Yoga Strap with D-Ring Buckle will fit your practice perfectly! This one is ten feet long so it is more than enough length for any sized yogi. The D-ring closures are easy to use and secure -- supporting dozens of yoga postures without slipping, breaking, or bending. 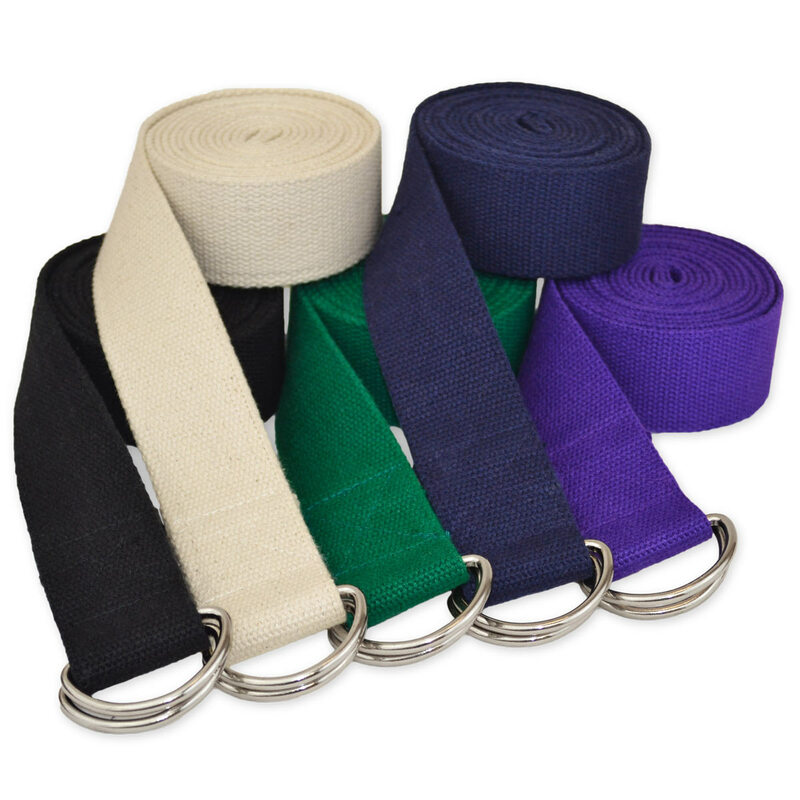 Competitors use nylon, but our straps are made from quality 100% natural woven and absorbent cotton, with a grooved surface to keep it snug and comfortable on your skin. Five classic color choices to match your interior decor -- this item is priced wholesale, but discounted even further when you buy in bulk. Yoga Props are useful for yoga students at all skill levels. Whether your students need help maintaining proper alignment in postures, or need extra length to simply connect their limbs together when they are not strong or flexible enough to do so on their own, you will find these Yoga Props are just what the doctor ordered! 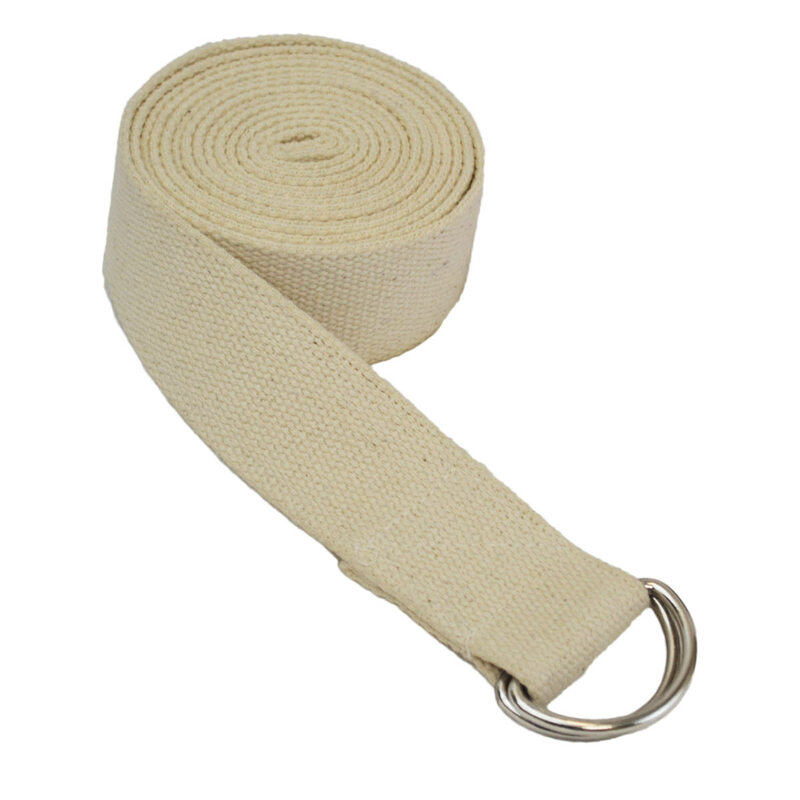 Our Yoga Props are sturdy and durable and made of 100% cotton, and these particular straps measure 10 feet long and feature a metal D-ring buckle. Good quality for the price. Seems that they will hold up for a long time. I was pleased with the transaction, and am happy with the product, my new yoga strap. Thank you, Yoga Direct. This strap is perfect when you need that little bit of extra length. The strength is the same great quality as the 8 foot D-ring. I bought it to use to traction students from a door. Works perfectly! Highly recommended. I love the navy blue color! Though the 10' is stiff, I'm sure it will soften up with use. It's a perfect length for large and tall yogis in class. I love my new yoga strap. Because I am very tight in the quads and shoulders, it is often necessary for me to use a strap to gently coax my body to open up more. This strap is sturdy, and I know it will last a long time. I ordered the 10 foot strap because of some of the poses that I need the strap for and the ones sold in the stores are too short. The quality is outstanding as well as the longer length. Love the straps. The long length is right for my spouse and I. Would recommend always getting the longer strap. Sometimes the 6' belts is not long enough. This is stiff, but feels like it will soften with use.